15 & 19 Leonie Hill, East & West Towers. Completed: Around 1984. 210 units. The 214 sq. m units do not have private lift lobbies and have small living areas. They do have a separate family area (for use as a study area or for children to play). This family area is outside the master and two bedrooms and is around 7 sq. m.
The 243 sq m units have a longer living area and a large family area after entering from the private lift lobby. Kitchen areas for both types are similar and semi-circular. A long dining table with 8 chairs will just fit into this area. Large ice-making fridges cannot fit into the kitchen. Some tenants put them in the dining area or the utility area. The maid's room is quite dark and tucked away behind the kitchen. Penthouses: 5 or 6 bedrooms. 448 - 492 sq. m. with big patio of over 1,000 sq. ft or a big pool. Some have 5 or 6 bedrooms and a big patio on the first level near the circular master bedroom or a swimming pool plus sauna and gazebo above the 2nd level. Spacious patio and terraces. Penthouses have 2 levels. Some owners have split the penthouses into 2 separate units to rent out individually. Therefore, one unit may have an odd-looking circular area outside the kitchen. This will be the lower floor. Whole condo looks good with recent upgrading. Koi pond and running water near the security area gives a good feeling. Squash courts being upgraded on a visit on Sep 2, 2000. Living and separate dining area - white grey-streaked marble unless replaced by wood or black granite; bedrooms carpeted or parquet depending on the state of renovation. Light brown kitchen cabinets. Deep blue bath tubs and sinks in the master bedroom. Another light yellow bath tub in bedroom 2. Common bathroom has shower. Maid's bathroom may have a squatting toilet bowl. Ducted central air conditioning with one control in the living room and one at the master bedroom. However, all bedrooms must be air conditioned as there is no individual control for each of the four bedrooms. Said to be the only condo with a new central air conditioning system (excluding the piping) after a major upgrading exercise. Swimming pool, children's pool, tennis courts x2 newly resurfaced, squash courts x2, sauna, playground connecting one block to another via grassland, 24-hour security, covered car park, new good-sized gym. Indoor table tennis table and basketball practice area. Completed in Aug 2000. $1 million spent on Hitachi cooling tower & piping system for air conditioning system. Renovated visitor's lobby with sandstone walls and a waterfall koi pond. Golf putting green, practice bunkers, 3 driving cages. Pool table, private function area at basement of car park. All these upgrading makes Horizon Towers a much nicer place to live in. Much now depends on the interior renovation of each owner to attract the tenants. 99-year lease with effect from 1984. 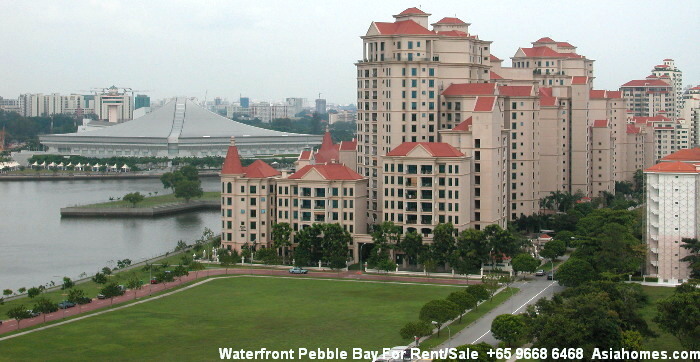 Selling prices around $1.5 million as at Sep 1, 2000. New investors are unlikely to profit from enbloc sales as the site is on a 99-year lease. Rentals are around $4,500 in Dec 1 2002. Easy to rent if completely renovated in pastel colours which suit the Caucasian culture. In 2001, there is the enamel spraying process to make the bath tubs and wall tiles look new. This saves a considerable amount of costs of replacement and hacking. Spraying is best done in pastel, non glossy colours. Many Owners want to express their creativity using various colours for various bathrooms, but it may be wise just to have white bathroom accessories. Great location. A 7 to 10-minute walk to Orchard or Somerset subway and shopping or a 5-minute walk to the Great World City Shopping Mall. Bright and spacious living and family rooms. Living area in granite in a penthouse. Circular balcony to right. Circular master bedroom (far back to right). Door leads to big patio of 1,000 sq. ft or to a big pool in penthouses. Living area has a split level. Family area outside the bedroom is sometimes used as a dining area. Air conditioning in kitchen in some units. Private lift lobby for the 2600 sq ft units, not the 2400 sq ft units.Access card to apartment gives security. Shopping malls and supermarkets including one Cold Storage at Takashimaya Shopping Center within walking distance. This condo attracts a large number of Caucasian families. There is a resort ambience. The sand-coloured walls near the lift lobby brighten up the visitor's lobby. Many units have no views since the area is heavily built up with condos. Dated or worn out dark blue, pink and multi-coloured bath tubs and sinks. Deep blue coloured master bathroom instead of white as in modern condos. In 2002, there is the glazing method in which bath tubs and sinks are sprayed white or any colours. The coating may last two years and is cheaper than extensive hacking and replacement of bathroom accessories and tiles. Expats with big dining tables complain about the smaller dining area and the small kitchen. Most owners who have renovated the kitchen do not plan for a space for large ice-making fridge when they make kitchen cabinets. Consequently, such fridges have to be put in the dining area or utility area. 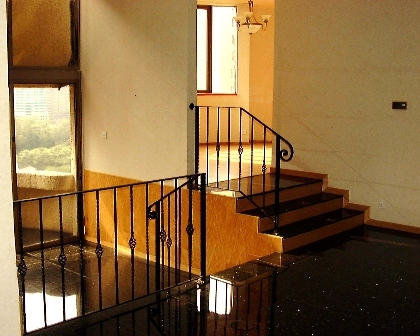 Small circular dining area (right, up stairs from living area), circular balcony (top left). 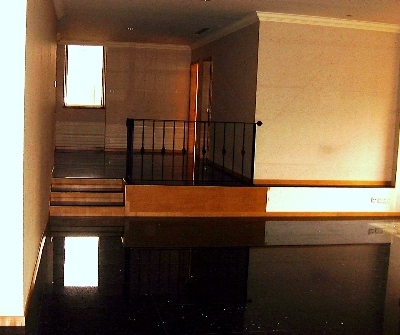 The living area near the window and the kitchen is sunken to around 1.5 feet deep and may be a danger concern to toddlers. Renovated units and the lower rentals per sq ft basis make Horizon Towers very popular with Caucasian expats who don't complain about the disadvantages as location is great. 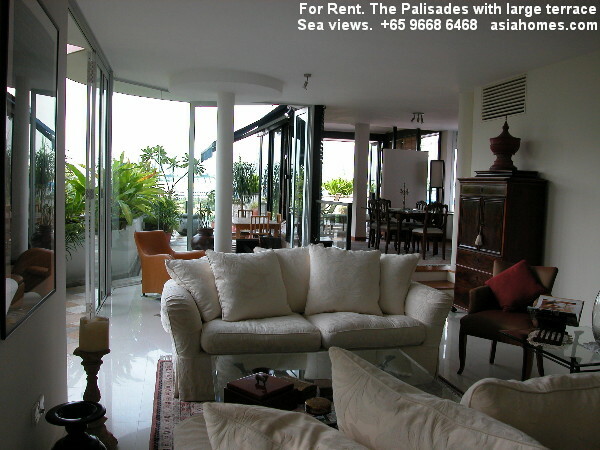 This condo is popular with Caucasian families who want to live in Orchard Road and near Orchard/Somerset subway at lower rental rates than equivalent floor areas in the newer condos with beautiful brand new fixtures and fittings. 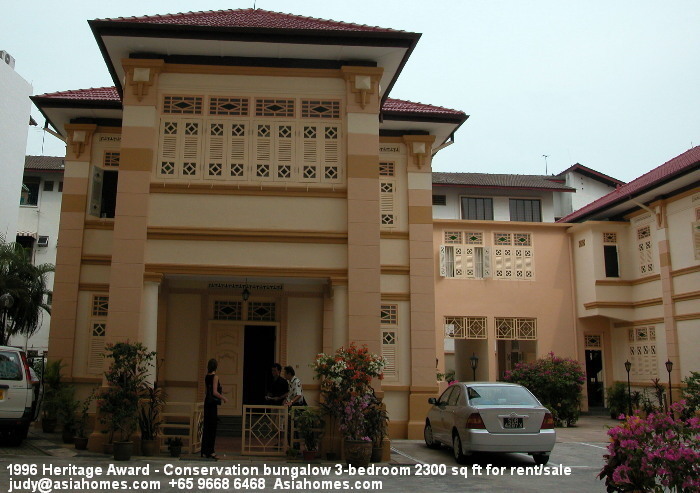 Contact judy@asiahomes.com or tel +65 9668 6468.
for a comprehensive rental contract and best rental package for you. Horizon Towers 4+1 2400 sq ft, $7500. 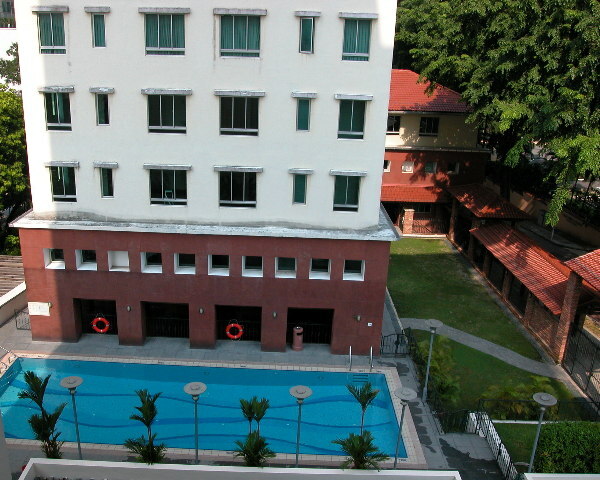 2 units for rent. Other units may be available. 235. 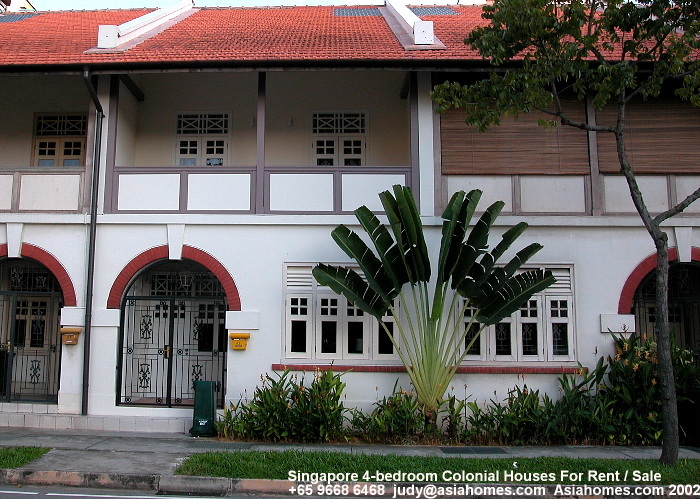 3-bedroom Hullet Road condo $4,000. Near Somerset subway. Pool and gym. Low rise, low density. 234. 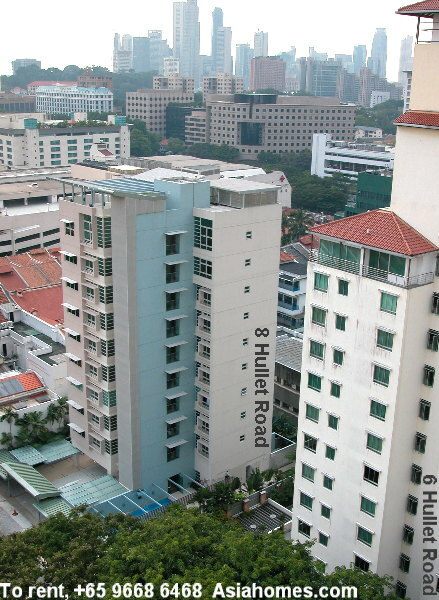 3-bedroom Hullet Road condo $4,200. Near Somerset subway. Pool. Low rise, low density. New.